ABSTRACT:- The stresses transmitted by the structure are bear by the soil bed. If soil is weak than it is not stable enough to resist the structure’s heavy load, for this the soil should be reinforced and stabilized. 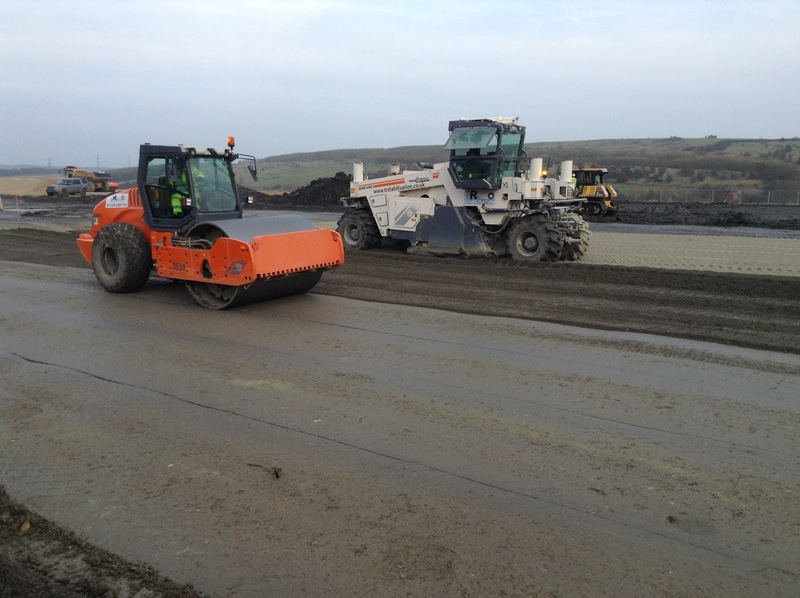 The ability of the soil to distribute the load over a greater area is generally increased when the quality of the soil is increased to an extent. The term “Soil Stabilization” refers to the change in the properties of the soil to such an extent that its stability or bearing power is increased. It can be done by various different methods like; mechanical, chemical, or by using different types of additives which can be mixed in the soil. Conceivable growth cannot be done without the adaptation of the new technology to make the structure stable. Soil stabilization by the using waste coir fibres and rubber tire waste material is one of the most cost-effective approaches. The most common achieved improvements through the process of stabilization include the better soil gradation, reduction of the plasticity index or the swelling potential, and increase in the durability and the strength of the soil. This work is done in order to find out the strength of soil by reinforcing with randomly distributed waste coir material and the waste rubber tire with the changeable percentages of the reinforcements. The tests carried out in this research work are executed as per the Indian Standard Specification. The results obtained are compared and inferences are drawn towards their usability and efficiency to make these waste fibre materials for unlike geotechnical application as a cost efficient advancement. The samples are prepared at their respective maximum dry density and optimum moisture content. From the study, it is observed that the friction angle increases by 26% at fiber content of 0.5% and fiber length of 6mm. The fiber-reinforced low plasticity clay exhibited crack fracture and surface shear fracture failure modes, implying that polyester fiber is good earth reinforcement material with prospective applications in civil engineering. 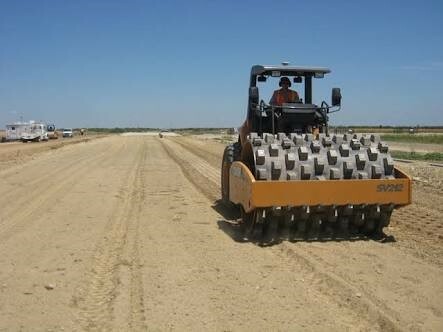 Soil stabilization has many applications in earthwork construction, such as soil modification, roadway embankment reinforcement and earth slopes, landfills and embankments. The soil sample was brought from a place near government hospital RIMS, Sri Kakulam at a depth of 2m below the ground surface. The soil is initially allowed to dry for 2days and the dried soil is thoroughly grinded. The grinded soil is allowed to pass through 4.75mm IS sieve and this soil is used for the present study. The following are the different physical and chemical properties of coir. Perfect for use as a growing medium. 10-11% perfect for use as a growing medium. The Air Filled Porosity (AFT) of a growing medium defines the air spaces in the pot needed for good water dispersal and drainage, and to allow good healthy root growth. Immediate wetting/re-wetting time is immediate. In excess of 120 meq/1000g of dry soil combined with a good conductivity figure allowing holding and dispersal of nutrients. Ratio of b/w 90:1and 110:1.This combined with coir’s lignin content makes it a good long term growing medium. 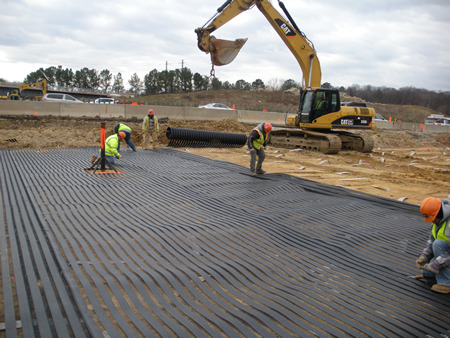 Geo-textiles and related products have many applications and currently support many civil engineering applications including roads, airfields, railroads, embankments, retaining structures, reservoirs, canals, dams, bank protection etc…. Coir can improve soil strength at a lower cost than conventional soil nailing. In addition, coir allows planting on steep slopes, further securing the slope. Coir (coconut fiber) geo-textiles are popular for erosion control, slope stabilization and bioengineering, due to the fabric’s substantial mechanical strength. 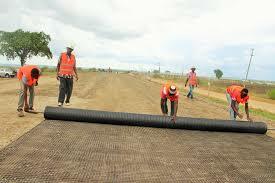 Coir geo-textiles last approximately 3 to 5 years depending on the fabric weight. The product degrades into humus, enriching the soil. The diameter of the tire is up to 3mm and length is 1-2cm. The following are the different properties of waste rubber tire. Approximately 80% of the weight of car tires and 75% of truck tires is rubber compound. The compositions of tires produced by different manufactures are reported to be similar. Table shows the material composition of passenger car and truck tires from the European Union (EU) as well as the composition of tire rubber from Canada. 1. Sub grade fill and Embankment. 2. Backfill for wall and Bridge Abutments. 3. Sub grade insulation for roads. 5. Septic system drains fields. Soil passing through 4.75mm IS sieve is used for the present study. To this soil sample required percentage of stabilizer by weight is added and a uniform mixture is made. For this mixture water is added and properly mixed in order to ensure the bonding of fiber and soil. The prepared sample is tested for maximum dry density, optimum moisture content, unconfined compressive strength, direct shear test and CBR value. This procedure is repeated for 0.25%, 0.5%, 0.75% and 1% of coir and for 1%, 2%, 4%, 6%, And 8% of tire waste. MDD of the modified soil is around maximum at ___% coir, which shows that the increment of the ___% and OMC is maximum at ____% which shows the increment of ___%. The UCS value of the modified soil gets increased with the increase in the coir content with an increase of ____%. CBR value of the modified soil gets increased in coir content with an increase of about ___% at ___% coir. MDD increases with increase in percentage of tire and the OMC gets decreased with increase in percentage of tire. 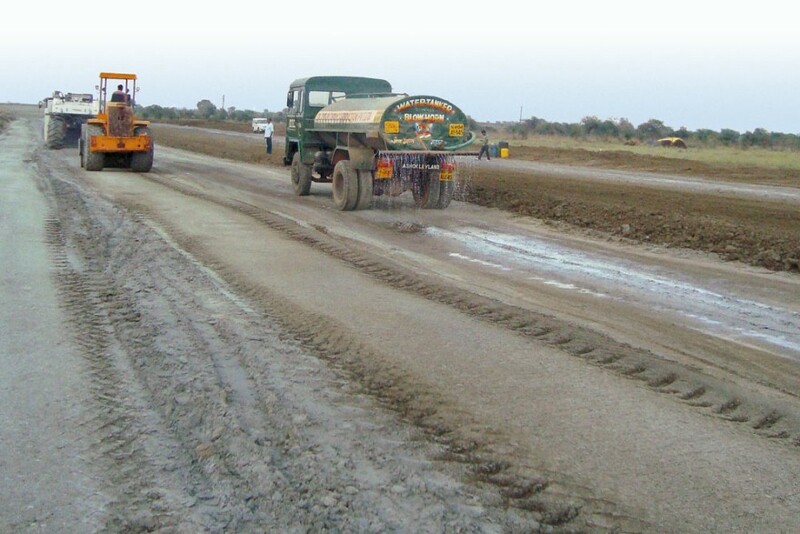 The use of shredded rubber tires since reduces the amount of water requisite for the compaction effort while maintaining a logically good maximum dry density. The UCS value of modified soil is maximum at __% tire, which shows an increment of ____%. The CBR value of modified soil is maximum at __% tire, which shows an increment of ____%. The CBR and UCS values of coir at 1% are higher compared to that of tire. Hence coir is more reliable than tire.